In a cross-complaint filed to the Los Angeles County Superior Court, Fiji Water claims that Cuthbert, whose real name is Kelly Steinbach, had signed off on Fiji’s use of her “name, likeness and performance” for marketing purposes and had agreed to serve as a “Fiji Water Brand Ambassador” for a year. 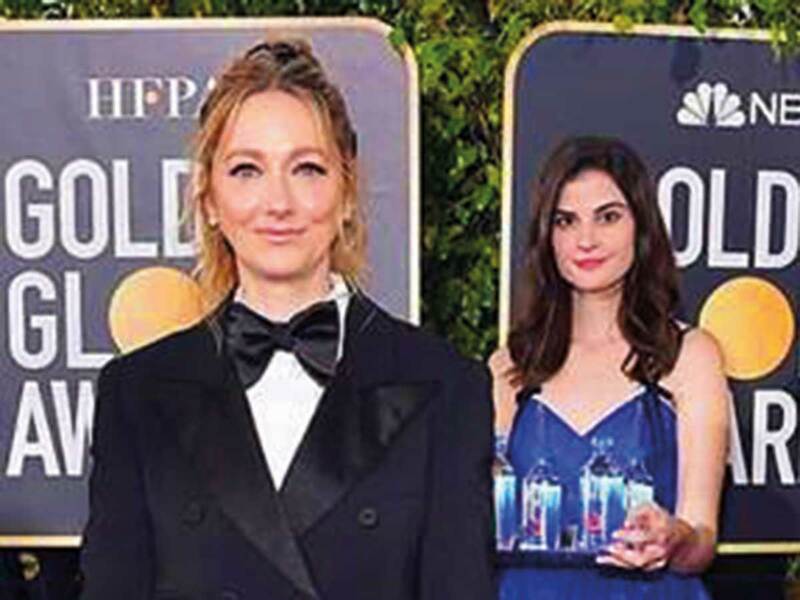 Cuthbert became an internet sensation during the Golden Globes in January where she was seen strategically photobombing celebrities while holding a tray of Fiji Water. According to documents, Cuthbert’s $90,000 (Dh330,528) deal included promoting at least three Fiji Water events and prohibited her from appearing in advertising for any other food and beverage products during her term as ambassador. The countersuit also included examples of Cuthbert acknowledging and positively reacting to Fiji’s cardboard cutouts with emojis and commonly used text slang. Fiji’s lawsuit claims that the agreement was initially made over email before being formalised in a written contract. However, after the videotaped “signing event,” Cuthbert took the only signed copy and later “intentionally destroyed” it, Fiji alleges. “The complaint filed by Fiji Water today is an obvious publicity stunt to counter revelations of Fiji Water’s unlawful actions,” said Cuthbert’s attorney, Kecia Reynolds, in a statement. “However, Kelleth will not be bullied by Fiji Water, the Wonderful Company, or its billionaire owners. Cuthbert filed a lawsuit against Fiji last week alleging that the two parties never reached any official agreement and that the water company had implemented a cardboard cut-out campaign without her permission. Cuthbert’s complaint additionally claimed she was “pressured” into the “fake signing of a fake document” and that her appearance during the Golden Globes broadcast generated more than $12 million of exposure for the water brand.